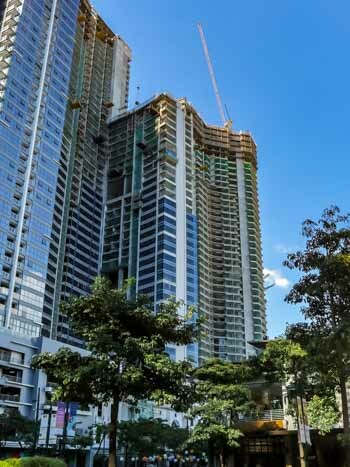 Uptown Parksuites is a two tower residential project by Megaworld, that rises to 46 and 50 storeys. The facade will boast an all glass and steel look, similar to the adjacent Uptown Ritz building. Units featured are 1- to 4-bedrooms, with sizes ranging from 33.5 sqm for 1-bedroom to a whopping 453.5 sqm for the 4-bedroom penthouse. Higher residential levels will include sky lounges. Located at 8th Avenue, cor. 38th Street, Uptown Parksuites is placed very near to Uptown Mall, Uptown Parade, and Grand Hyatt Manila.